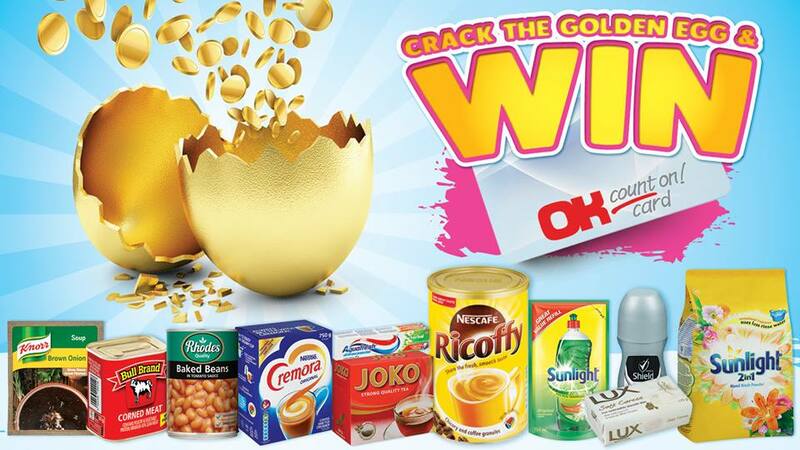 The Golden Egg Competition is back at OK and you could be the lucky shopper who gets to crack the egg to win! 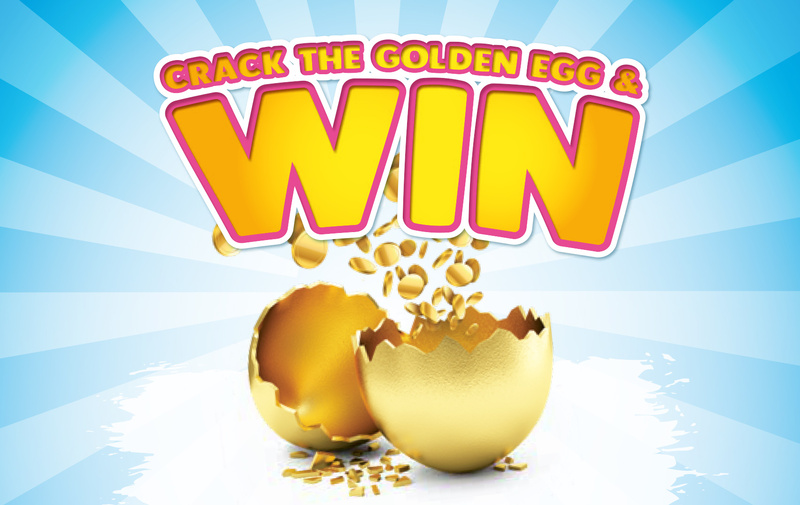 Each of our participating stores receives a giant golden egg filled with vouchers to the value of R1000, R3000, R5000 or R10 000. Competition ends on 22 April, so don’t miss out! Buy a participating product at a participating store. Find the USSD code on your till slip. SMS the code 41534 or 2222 in Namibia. Swipe your Count On! loyalty card to get an automatic entry.